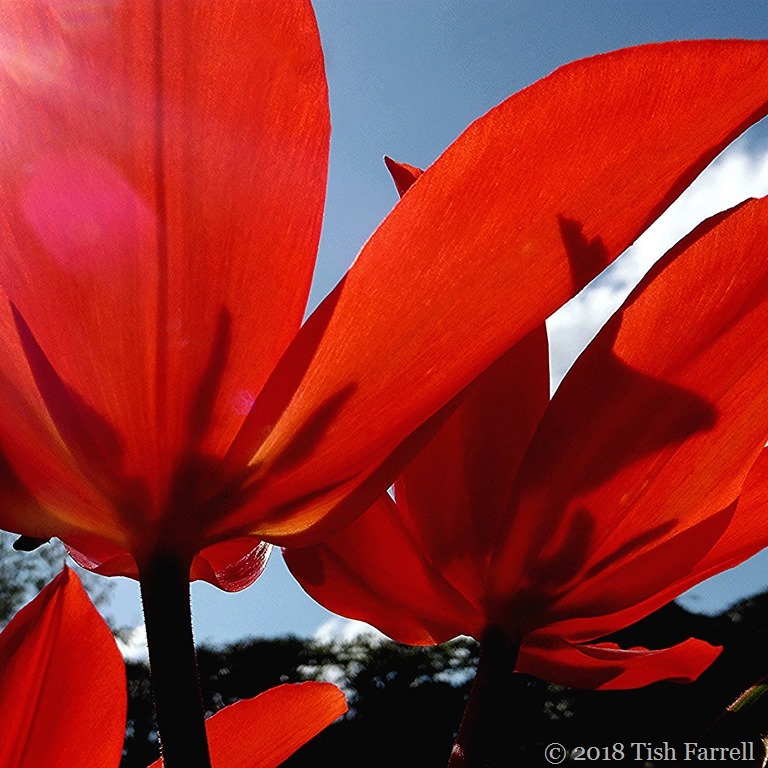 Posted on December 1, 2018 by Tish Farrell	This entry was posted in Gardens and tagged #timesquare, December squares, Tish Farrell Writer. Bookmark the permalink. Well I never knew that, but is there still time to find any bulbs?! Lovely! May your tulips thrive, Tish! Thank you, Sue. I have 5 pots of them. Pots?…in the ground, greenhouse or just sitting out? Just out. Our winters – even last year’s don’t seem to deter the bulbs in pots. I bought some blue poppy anemone yesterday to plant today. My tulips are permanently planted on the ground. That’s brilliant if your tulips survive year to year. ours tend to split and go a bit weedy if left in the ground after flowering. But if you can find a variety that naturalises that’s brilliant. Blue poppy anemones sound lovely. Would love to do this but vols and moles ??? How about pots? Even a smallish one will hold several bulbs. Would I keep them out side or in until no freezing temps. If you have prolonged freezing periods, then I think they would need to be sheltered. In a porch say. Our winters are pretty mild these days, so pots can just be left out. I didn’t know you could plant them that late! This looks beautiful. I’ve lost lots of tulips over the years – I think the squirrels are partial to them! Yes squirrels have a very bad tulip habit. I had no idea, assuming it to be too late, thanks. I may have to order some to stay sane. Winter is hard on this FLOWER. And I look forward to that future time when you will show us the tulips in full bloom. Lovely rendering of a truly beautiful spring flower. Apparently you can plant them in pots at any time as it is only when planted in the ground that the virus appears – I guess most of us empty the pots each year. Yes, Monty on Gardeners World potted his up ages ago if I remember rightly. I wasn’t that organised.